The American Health Council has warmly welcomed Dr. Leamon Davenport, DO, to its prestigious Physician Board. Working in the healthcare industry for over 14 years, Dr. Davenport is an expert in the field of pediatrics and exerts a wealth of care as a hospitalist. Dr. Davenport first began his studies in 1976, enrolling at the Lehigh University where he studied Chemical Engineering, graduating in 1981. Following on from this, his academic achievements include a BS in Chemical Engineering in 1993 from Lehigh University, studying Biomedical Science from 1993-1994 at Temple University Philadelphia Pennsylvania and Biomedical Science from 1994-1995 at Philadelphia College of Osteopathic Medicine. It was at the Philadelphia College of Osteopathic Medicine that Dr. Davenport continued studying, this time for his D.O. in Osteopathic Medicine from 1995-1999. It was after earning his qualifications in Chemical Engineering, that Dr. Davenport made a sharp career change into medicine. Honoring his analytical skills, he felt as though it was a seamless transition and provided him with the opportunity to use his strengths to care for people, which is something he felt naturally able to do. Dr. Davenport has served in his current role as a Pediatric Hospitalist at Crozner Keystone Health System for the past two years, offering services in cardiovascular care, cancer care, emergency care, outpatient services, orthopedic care, OB/GYN, and pediatrics. 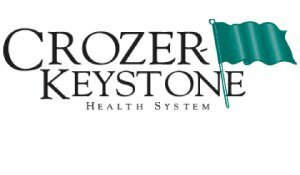 Crozner-Keystone Health System was established in 1990 by the merger of the Crozner-Chester Medical Center in Upland and Delaware County Memorial Hospital in Drexel Hill. Today, the health system comprises five hospitals: Crozner-Chester Medical Center and Delaware County Memorial Hospital, as well as Taylor Hospital in Ridley Park, Springfield Hospital in Springfield, and Community Hospital in Chester. In addition, the health system operates several outpatient centers, the Healthplex Sports Club, and a comprehensive physician network of primary-care and specialty practices. The prestigious health system provides a full spectrum of wellness, prevention, acute care, rehabilitation and restorative care to the community. Distinguished in his field of Pediatrics, Dr. Davenport holds extensive knowledge in this area as well as asthma education and management. This is displayed in his daily responsibilities which see him working in a low acuity pediatric department, where his time is split between clinical practice and rounds with residents. He is also proud to be involved in the Pennsylvania Asthma task force, where he focuses on asthma education and management. With the aim to continually develop in the medical profession and gain more knowledge in order to provide his patients the best care, Dr. Davenport is a member of a number of associations including; the American College of Physicians (ACP) and the New Jersey Association of Community Providers (NJACP). With aspirations to become director, Dr. Davenport also aims to open an outpatients clinic in order to fulfill a long term goal to give back to the community, particularly in undeserved areas. With many professional accomplishments accumulated over the years, Dr. Davenport holds his time in residency as a medical technician in particularly high regard, where he had the opportunity to practice for six years at Navaho Reservation, Arizona. The esteemed doctor is also a Fellow in the American College of Physicians and has enjoyed number of personal achievements in the areas of sports medicine platform and concussion awareness. Looking back at his achievements to date, Dr. Davenport attributes his success to his faith, alongside the constant support and encouragement received from his mother. In his spare time, Dr. Davenport’s hobbies include bike riding and scuba diving. When he has time away from work, he enjoys to plan and travel to various destinations. Keen to help as many people as possible, he also dedicates his time to helping the PA Asthma Task Force. Crozer-Keystone Health System was established in 1990 by the merger of Crozer-Chester Medical Center in Upland and Delaware County Memorial Hospital in Drexel Hill. Today, the health system comprises five hospitals: Crozer-Chester Medical Center and Delaware County Memorial Hospital, as well as Taylor Hospital in Ridley Park, Springfield Hospital in Springfield, and Community Hospital in Chester. The health system provides a full spectrum of wellness, prevention, acute care, rehabilitation and restorative care to the community.